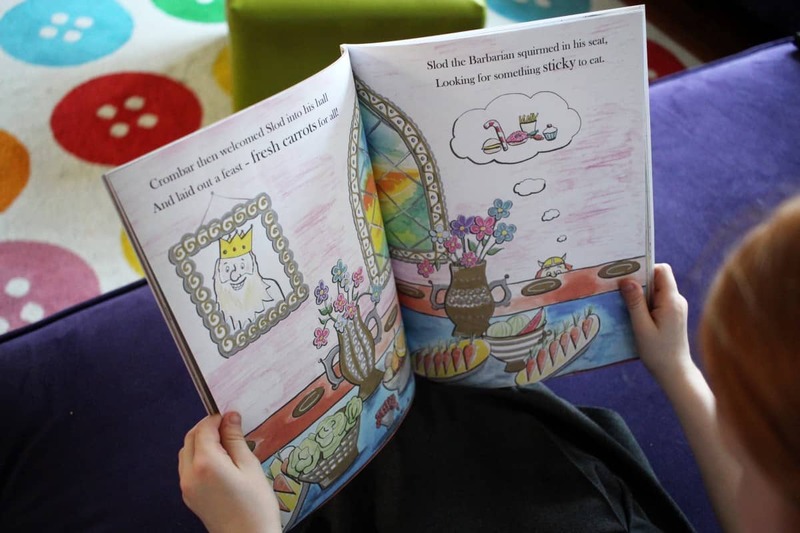 LP and Little Man love to read and we have read so many books together since becoming parents but I think Slod the Barbarian is one of the first we’ve read that has been created to help inspire children to look after their teeth – and it’s been recommended by the Oral Health Foundation too! Slod the Barbarian is beautifully illustrated, with full page watercolour artwork on every single page in the book. These fantastic pictures really help to illustrate the story, showing the children everything that happens in Slod’s adventures. 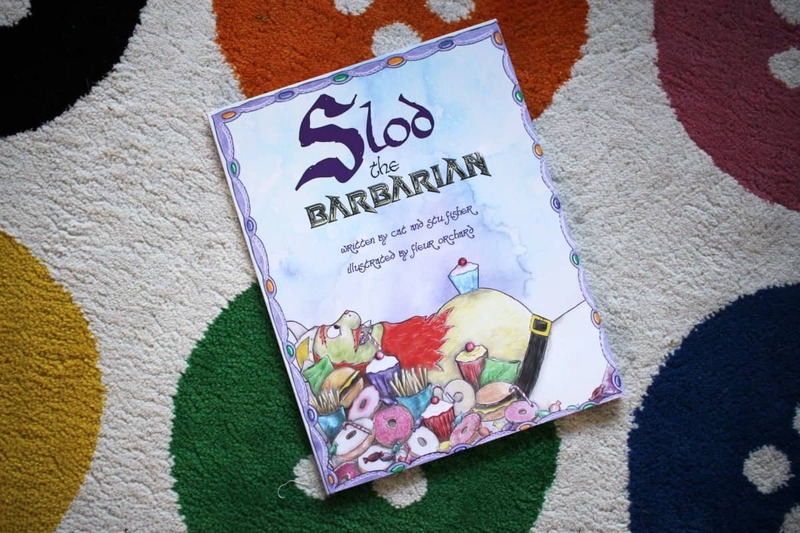 The story of Slod the Barbarian starts by introducing Slod, his love of sticky, sweet things to eat and his black teeth that the whole land have come to know and fear. The story takes us on a trip to see Crombar the Toothless to see if Slod can get a cure for his awful teeth and bad gums. The whole book is focussed on looking after your teeth – the good and bad things to eat as well as cleaning your teeth regularly and making sure you use the right kind of toothpaste too. But, these messages are woven into the story nicely, making Slod the Barbarian a great adventure for the children to follow and one they can relate to as well. It’s clear that Slod the Barbarian is a great step in combating the huge rise in children’s tooth decay of recent years. 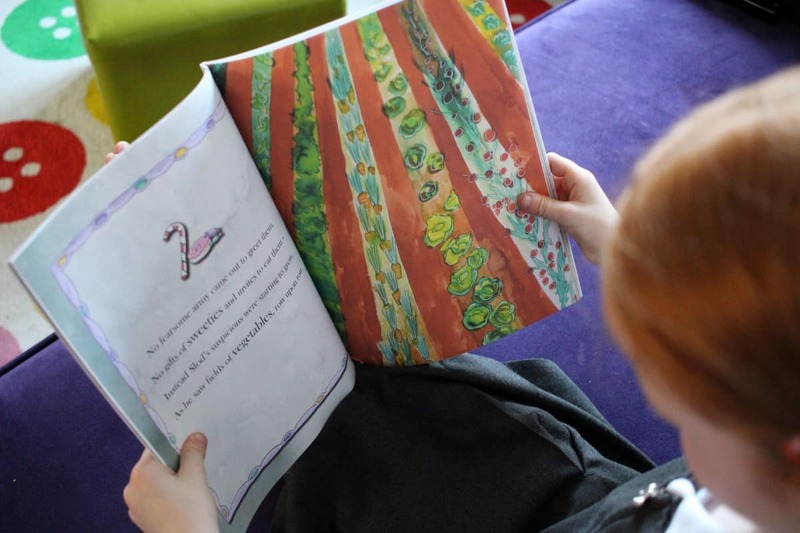 The story is written in rhyming verse which works really well and helps the children to stay engaged and follow the story. LP and Little Man always prefer books that rhyme, especially at bedtime and because of this they really enjoyed Slod the Barbarian. Slod the Barbarian reinforces a lot of our parenting messages – to brush their teeth twice a day, to eat a healthy, balanced diet and to make sure they eat fruit and vegetables as much as they can. The book definitely has an emphasis on not eating sweets and sweet, sticky things at all but LP and Little Man know they can eat these things in moderation – as long as they clean their teeth properly afterwards which I think is the same for a lot of children. I think that Slod the Barbarian would be a great book for any child – it’s a really good adventure story, with a lot of depth and imagination. Plus, it reinforces all those messages about cleaning teeth and good oral hygiene – so a win-win in my mind! It’s no wonder it’s been so well received by dentists too. 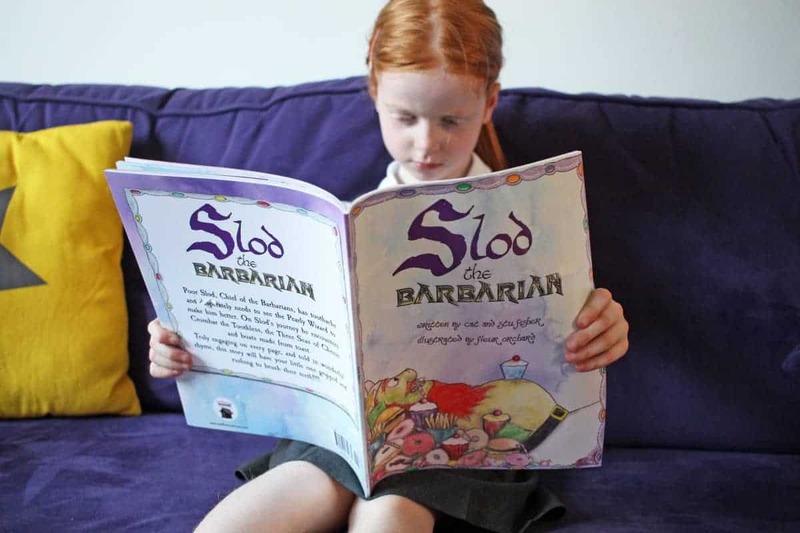 Slod the Barbarian has an RRP of £7.99 and you can find it out more here. this sounds like a lovely book and I think I might order a copy. The boys and I love to read and i think a book with a message is so good, especially for the younger ones. What a lovely book with fab illustrations, and a great fun way to encourage kids to look after their teeth. We have animal toothbrush timers in our house – they work wonders too!! !